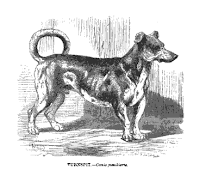 A little dog - the turnspit dog - ran inside the wheel high on the wall which turned the spit in front of the fire. The turn-spit was mentioned in a 1601 inventory (dog-wheell). 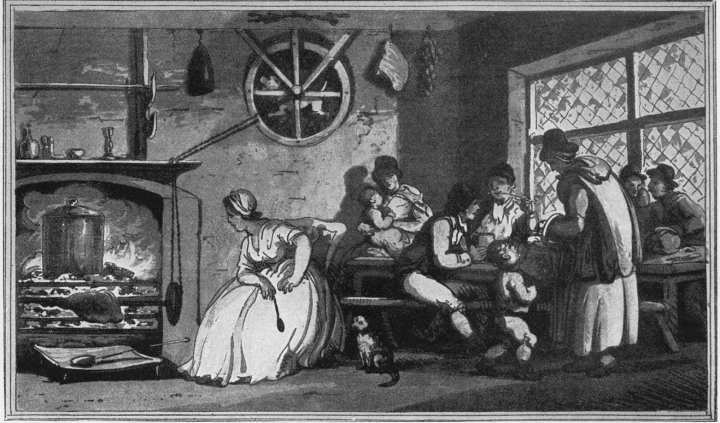 Several early quotes from 17th through 19th century writings. 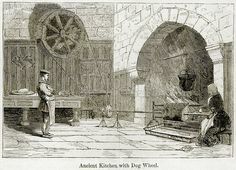 “Newcastle is a pleasant village : at a decent inn here, a dog is employed as turns it; great care is taken that this animal does not observe the cook approach the larder ; if he does, he immediately hides himself for the remainder of the day, and the guest must be contented with more humble fare than intended,” Wigstead’s Remarks on a Tour to North and South Wales in the year 1707. 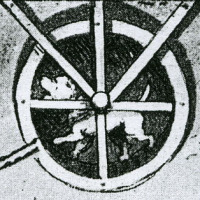 "There is no turnespit dog bound to his wheele more servily then you shal be to her wheele; for as that dogge can never climbe the toppe of his wheele, but when the toppe comes under him, &c" Eastward Hoe, as it was playd in the Blackfriers, 1605.